Dr. Marie Jureit-Beamish, Charles Stewart Distinguished Professor of Music, was appointed to the faculty of Principia College, Elsah, Illinois, in 1978, where she also served as Chair of the Music Department until July 2009. Recipient of the prestigious Dorothy Moller Award for the year 2005-2006 and again in 2010, she completed a recording project of the music of Chopin (Our Favorite Chopin) together with her three daughters (Laura, Ashley and Lindsay Garritson) all of whom are professional musicians in their own right. In 2012 she completed a CD entitled “Summerfest 2011” containing highlights of four concerts of The Jureit Musicales held in her home in Florida. In addition to a demanding teaching schedule, she has maintained a very active performing career as both a pianist and flutist, appearing in some of the finest concert halls in the U.S., including Carnegie Hall, the Kennedy Center, Steinway Hall and Carnegie Recital Hall. For several years she served as official accompanist for the St. Louis Symphony Young Artists competition, the International Women’s Brass Conference, and the National Flutist Association conventions. She has appeared as soloist on both piano and flute with many orchestras, including the Kirkwood Symphony, the Alton Symphony Orchestra, the University of California Symphony, the Gateway Festival Orchestra, Musical Diversions Society of St. Louis, and the Connecticut Chamber Orchestra, of which she also served as the Executive Director. She has appeared on numerous live radio broadcasts, including “Live from the Garden” on KFUO in St. Louis, WQXR in New York City, and radio stations in California and Michigan. Her numerous recital appearances include the St. Louis Symphony Chamber series, the New Music Circle of St. Louis, the Christ Church Cathedral Concert Series, the “Premiere Performance” series at the University of Missouri in St. Louis, “Coffee Concerts” at Southern Illinois University, where she also taught many outstanding flutists for several years. In the 1998-1999 season Dr. Marie Jureit performed an all Chopin concert for the “Dean’s Colloquium” at Principia College, and again in Florida and Chicago. During just the winter and spring of 2007, Dr. Jureit performed in almost twenty concerts in Illinois, Missouri, Michigan, Mexico, Canada, and Florida, most with different music, including the world premiere of African composer Fred Onovwersuoke’s riveting Five African Sketches, eliciting an invitation to perform the piece at the Cambridge Festival in August 2007. In November 2008 she had the great honor of being designated official accompanist at the Superius International Flute Competition, held in Timisoara, Romania, performing with many of today’s internationally recognized young flutists. Since then she performs in around 50 concerts/year as a soloist, chamber musician, conductor, and accompanist. ​Dr. Jureit-Beamish has shared her love of music in a variety of ways, both nationally and internationally. 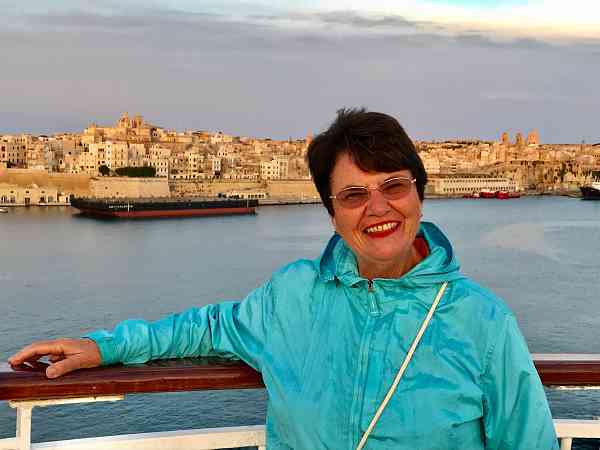 She has led several music trips abroad to the music capitals of Europe for both college students and adult education students, including a cruise trip along the Danube River featuring a course on the lives and music of the composers along the Danube (October 2006). Nationally, she has coached and led numerous highly-acclaimed performance tours of young adult musicians throughout the country, including the West and East Coasts, Florida, and the Midwest states. In addition she has recently taught several flute master classes for conservatory students in Mexico and Venezuela. In January 2011 she led a delegation of music students to Lima, Peru to study and perform at the Suzuki International Music Festival. ​Dr. Jureit-Beamish has also been guest artist at numerous summer festivals both in this country and abroad, including Italy, Russia, Czechoslovakia, and Austria. In addition to playing flute as an “extra” with the St. Louis Symphony, Hans Vonk conductor and music director, she has been flutist and pianist with the Gateway Festival Orchestra, the Kirkwood Symphony Orchestra, the Haydn Festival Orchestra in Eisenstadt, Austria, the Missouri State Ballet Orchestra, “Strings in the Mountains” Chamber Music Festival, the “New College Music Festival” in Florida, “Yale at Norfolk,” the “Carmel Bach Festival” in California, the Yale Contemporary Ensemble conducted by Arthur Weisberg, and the Berkeley Contemporary Chamber Players. As Principal Flute of the University of California Symphony, she had the great pleasure to work under such legendary twentieth century musicians as Igor Stravinsky, Darius Milhaud, Roger Sessions, and Daniel Heartz. While at Yale she had the honor of performing under the batons of Otto Werner-Mueller, Jussi Jalas (son-in-law of Sibelius), Krystov Penderecki, Sir Georg Solti, Aaron Copland, and Pierre Boulez. ​She was winner of the prestigious St. Louis Artists Presentation Society Competition as well as many other awards, including being honored at the “Arts and Education Awards Ceremony” broadcast on television in St. Louis, “Musical Family of the Year” by the Missouri Federation of Music Clubs, five Gertsch awards from Principia College, the Stanley Knight Memorial Scholarship at Yale for outstanding performance, and a full scholarship to attend the Tanglewood Music Festival, a full scholarship to do graduate studies at Stanford University, and election to Phi Beta Kappa national honors society from the University of California, Berkeley. At Southern Illinois University-Edwardsville, she taught flute for many years, as well as serving as the principal accompanist for seventeen years of the Suzuki program under John Kendall, founder of the Suzuki method in the United States. ​In April of 2009 she was awarded the only Lifetime Achievement Award granted by the Martin County Arts Council in Florida for her outstanding contribution to the betterment of the community through her devotion to the arts. She is founder and director of The Jureit Musicales, presenting national, international, and local talent to hundreds of members of the Treasure Coast of Florida. The Jureit Musicales now presents twenty concerts/year, presenting a wide variety of styles of music, as well as hosting artists from around the world. For example, she has presented such renowned artists as: Elmar Oliveira, the only American violinist to ever win the Tchaikovsky Competition (2009), Luiz de Moura Castro, one of the greatest pianists of Brazil (numerous years), Tatyna Pikayzen, a winner of the Chopin International Piano Competition (2013), Pierre Reach, French pianist who teaches at the prestigious Paris Conservatory (2010 and 2012), Takeaki Miyamae, the extraordinary flute virtuoso of Japan, and young artists of the Palm Beach Opera. In 2008 she established the Marie and J. Calvin Jureit Foundation for the express purpose of furthering the betterment of humanity through the arts, helping to fund concerts and provide scholarships for young musicians to further their education. In 2011 she was honored by the Daughters of the American Revolution with the national Community Service Award for her contribution to the musical life in southern Florida. ​In addition, at Principia College she conducts the College Orchestra, coaches chamber music groups, and teaches classes in Musicianship, Form and Analysis, and specialty classes in Music History. As a conductor, she has conducted many of the orchestral and choral masterpieces, including: Handel’s Messiah, Brahms’ A German Requiem, Mozart’s Requiem, Mendelssohn’s Elijah, Parts I and II, Rachmaninoff ‘s Second Piano Concerto, Brahms’s Violin Concerto, Ney Rosauro’s Marimba Concerto, Grieg’s Piano Concerto, Ibert’s Flute Concerto and Saint-Saëns’ Second Piano Concerto and Organ Symphony. In 2008 she conducted the premier revival performance of Widor’s Piano Fantasy, Mozart’s Requiem, the Rachmaninoff First Piano Concerto, and The Planets by Gustav Holst, to name but a few. The CD of the 2012 Principia Choir and Orchestra concert presenting Handel’s Messiah and Mozart’s Flute Concerto in D Major (Ashley Alarcon, soloist) has received rave reviews from the field. ​Also during her tenure at Principia College she has had the wonderful opportunity to prepare and lead many music/arts tours of college students all over the country. In March 2010 she led the Principia Arts Tour to the Northwest cities of Seattle, Tacoma, Portland, San Jose, and Mill Valley, presenting outstanding students in music, dance and studio art to hundreds of friends of Principia College. Other tours in recent years have included the East Coast (twice), Florida(twice), the Southwest, the Midwest and the Steinway Hall Concert in 2009. ​As accompanist she has accompanied such notable artists as flutist Michel Debost, cellist John Sant ‘Ambrogio, flutist James Galway, flutist Frances Blaisdell, flutist Tom Nyfenger, baritone Jules Bastin, and cellist Sara Sant ‘Ambrogio. She has also served as accompanist in performances here and abroad with many of her former students, including Amanda Sparfeld, Jonathan Borja, Maggie McCallie, and Wendy Hymes Onovwerosuoke. ​Highly respected for her musical achievements, Dr. Jureit-Beamish has served as judge for numerous competitions, including Yamaha Young Artists, Missouri state and regional competitions, the National Flute Association, the Missouri State High School Activities Association, the Treasure Coast Youth Symphony Concerto Competition, and the Florida Music Teachers Association national competition. She is also a member of many musical organizations, including the Flute Society of St. Louis, the Music Teachers National Association, the Missouri Music Teachers Association, Illinois Music Teachers’ Association, American Theatre Organ Society, the St. Louis Area Music Teachers Association, the Musicians Association of St. Louis, and the Mozart Society of America. ​In recent years, together with her late husband Cal Jureit, she founded a music concert series in her Stuart, Florida, home now entitled “The Jureit Musicales” (formerly Castle Hill Music Festival). Members of the community are invited to evenings and afternoons of music programs presenting both local talent and guest artists from all over the country and around the world. As a gift to the community to raise consciousness and appreciation for great music, more than one hundred guests come to each concert and are welcomed into our home to enjoy the beauty and inspiration of music performed in an intimate setting. Presenting more than twelve concerts each year, both Dr. Jureit-Beamish and her three award-winning daughters are frequent performers on these programs and delight in sharing their music with the community. Housing the Treasure Coast’s largest theatre organ, she presents some of the world’s finest theatre organists right in her home, including internationally known organists Clark Wilson, Walt Strony, the legendary Stan Kann, and Ken Double! ​In addition to her own performances and concerts, Dr. Jureit-Beamish is very active in philanthropic and community arts organizations, both in the southern Florida area and out-of state. In July of 2007, she sponsored a rare theatre organ concert ay the gala opening of the American Theatre Organ Society’s annual convention held in Radio City Music, New York—with Walt Strony, one of the country’s finest organists. In addition, she serves on the Board of Directors of the Atlantic Classical Orchestra and the Martin County Arts Council. Other widespread arts organizations that she supports include: the St. Louis Symphony Orchestra, the St. Louis Symphony Youth Orchestra, the Junior Bach Festival, the Round-Top Music Festival in Texas, the Metropolitan Opera Society, the Lyric Theatre, the Kravis Center for the Performing Arts, Principia College Music Department(establishment of a music scholarship for outstanding young musicians, and the organ and piano replacement program), Friends of Carnegie Hall, Friends of the Wanamaker Organ, Northwestern School of Music, the Hartt School of Music at the University of Hartford, and the St. Louis Children’s Choirs. ​Thanks to being honored as the Charles Steward-Harding Mott Distinguished Professor of Music at Principia College in 2003, over the last several years she has continued to enrich her own musical education by attending some of the most prestigious music festivals in the world, including the renowned Salzburg Music Festival and the Lucerne Music Festival which present the most outstanding performing artists of our day. In addition, she attends regularly concerts and operas in this country, too, including the Palm Beach Opera, solo and chamber concerts, such as Lang-Lang with Christoph Eschenbach as conductor. She also has had the opportunity to hear many of the great future artists of our time by attending some of the most important international competitions in the world, including the International Piano E-Competition, the Montreal International Piano Competition, and the Chopin International Piano Competition with daughter Lindsay, herself a graduate of Principia College and one the upcoming young pianists on the international scene today. ​Her education includes a Doctor of Musical Arts from Yale School of Music, a Master of Arts from Stanford University, and BA’s in Music and French from the University of California, Berkeley. She also studied abroad at the Royal Conservatory in Brussels and at the Mozarteum in Salzburg, Austria. Her piano teachers include Harald Logan of Berkeley, California, Margot Pinter of Austria, Eduardo del Pueyo of the Royal Conservatory in Brussels, Belgium, and Adolph Baller of Stanford University. Her flute teachers include James Galway at his First International Flute Seminar in Switzerland, Michel Debost of the Orchestre de Paris, Thomas Nyfenger of Yale School of Music, Frances Blaisdell at Stanford University, Karl Heinz-Zöller at the Mozarteum and Merrill Jordan at the University of California. ​With the passing of one of the legendary flutists and artist-teachers in our country, Marie Jureit-Beamish was named chair of the Frances Blaisdell scholarship established by the National Flute Association in 2010. This is a lasting tribute to one of the most significant mentors in Dr. Jureit-Beamish’s musical life.